Where I found it: The New England Beverage Company in Orange, CT during our post-Christmas trip to Connecticut. I brought this 12-pack home to Maryland and we enjoyed it during an NFL playoff weekend in January. Hoptical Illusion (6.8%), this American-style IPA features a rare hop grown exclusively for Blue Point on a small farm in Oregon. Brewed with a generous amount of this select hop that’s added five different ways for maximum hop flavor. Blueberry Ale (4.6%), each batch of this delicious Golden Ale is brewed with 732 pounds of fresh, handpicked USA Northern Highbush Blueberries. Best Beer: Easy – Hoptical Illusion. Of course Beth would have said the Blueberry Ale, and the Winter Ale was excellent too. 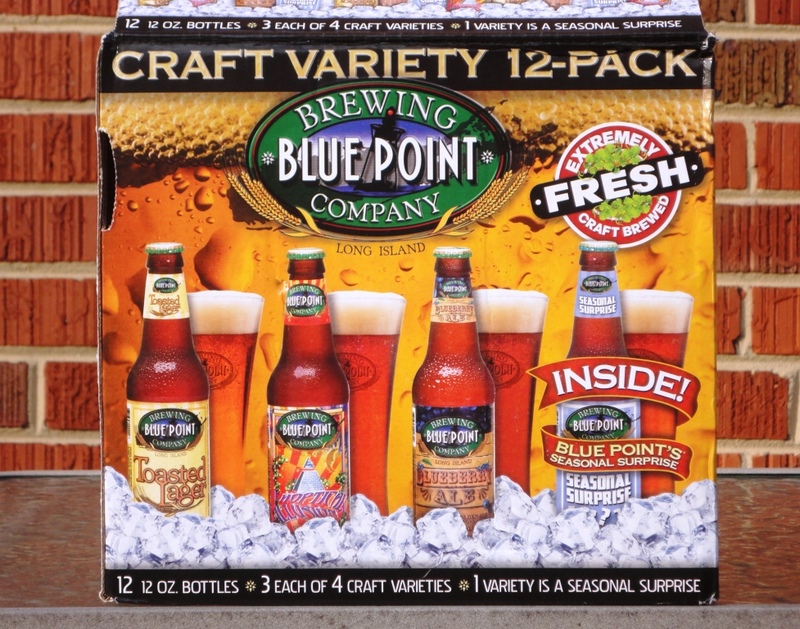 But Blue Point’s IPA is one of my favorite IPAs – great hop character and an amazing label!